Auctions are competitive and stressful for most bidders. Here are six smart strategies that could improve your chances of winning. Revealing your maximum bid limit to the agent before the auction could encourage them to push you a little further. For example, during the auction the agent might indicate you’re close to meeting the vendor’s expectations, to try to persuade you to bid above your limit. It’s in their interest because they’re usually earning a commission based on the sale price. Bids must reach the vendor’s reserve price before the property is officially ‘on the market’ and then sold to the highest bidder. If the property doesn’t meet the reserve it will be ‘passed in’. The reserve price is usually set on the day of the auction, or the day before. The auctioneer often doesn’t know the reserve until just before the auction begins, and they don’t have to reveal it to bidders – but you can still ask. If you discover the reserve, you can wait to bid until it’s reached. This tactic might even persuade the vendor to lower the reserve during the auction if they’re not getting enough bids. If you’re the highest bidder for a passed-in property, you may be invited to negotiate with the selling agent. Be wary of high-pressure sales tactics here, and remember that cooling-off periods don’t apply to contracts signed on auction day. Make sure you know the rules, as it’s illegal to disrupt an auction. The auction rules are generally made available at least 30 minutes before the auction, and the auctioneer should also announce the rules before bidding starts. Bid with confidence and state the full price to let your rivals know you’re serious. A confident call of ‘$500,500’ (as opposed to a quiet ‘500’) will remind the room of how much is at stake. You can also try ‘knockout’ bids and offer well above the last bid or the auctioneer’s suggested figure, to intimidate less-confident buyers. If bids are being made quickly you might want to try to slow things down by bidding in smaller increments than the auctioneer suggests. Pre-auction tip: Ask the selling agent how many people have requested property reports. This will give you an idea of the number of serious bidders. You can enlist a buyer’s agent (also called a buyer’s advocate) to bid for you. They’ll have no emotional attachment to the property and should only bid what they believe it’s worth (within your limit). They should also have plenty of auction experience and know the tricks of the trade. The Real Estate Buyer’s Agents Association of Australia offers some tips for choosing a buyer’s agent. You could also ask a friend or family member with auction experience to bid for you. But remember that you’re the one who has to pay, even if they win by exceeding your limit. 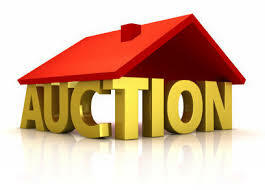 Accept property reports and legal fees as sunk costs that are part of the auction process. You’re better off spending a few hundred dollars checking a property than bidding hundreds of thousands without doing the pre-auction groundwork. On auction day, if you hit your limit, walk away to avoid temptation. Auctions can be challenging, especially when there are emotions involved. Sensible, practical strategies can give you the best chance of being the last person standing – or at least stop you from over committing – on auction day. See next week’s post: When the Auction is passed in – to you! What happens next?